nephroHUB-U provides a comprehensive enrichment program that will highlight the impact of kidney diseases and the need for discovery of novel therapeutics and advances in relevant research. Didactic and Interactive Activities support continued learning for investigators and trainees interested in mechanisms of, and novel treatments for, kidney diseases. These didactic/teaching sessions, delivered by center members, run weekly over a 24-month cycle and cover basic kidney physiology, diseases and treatments. Translational research topics are included to stimulate trainee thinking outside traditional boundaries. A mix of clinical and basic journal articles are selected and presented weekly by all clinical and research postdoctoral trainees in Nephrology. Biostatistics experimental design and rigor and reproducibility are emphasized throughout the course. An exciting and diverse range of speakers are chosen to provide wide exposure of topics in clinical nephrology, basic, clinical and translational research and innovation in kidney diseases. 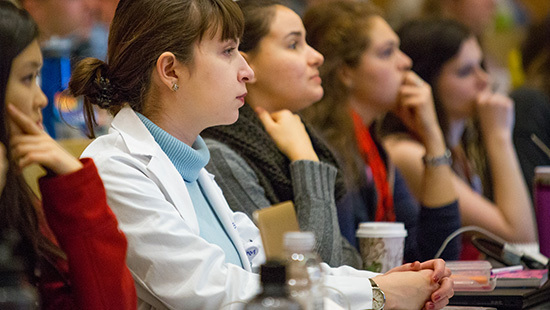 At these joint laboratory meetings hosted by the Feinberg Cardiovascular and Renal Research Institute, a trainee and faculty advisor are assigned to each presentation and lead the discussion. The venue provides an opportunity for trainees to present their work to a large audience and obtain constructive feedback. Clinical and basic research projects are presented, providing opportunity to learn how to bridge disciplines and translate research bidirectionally. The MSCI program provides rigorous education in the methods, tools and skills needed for high-quality translational and clinical research in the biomedical sciences, including biostatistics, epidemiology, writing and reviewing, bioinformatics and data analysis. The Career Development Program leverages existing and newly created resources to build a robust workforce in kidney investigation. Resources include career development programs available through CTSA-funded Northwestern University Clinical and Translational Sciences (NUCATS) Institute, individual coaching, peer mentoring program, a visiting professor program, the kidney and therapeutics research seminar series, weekly work-in-progress seminars, and an interdisciplinary seminar series focused on therapeutic discovery and translation in kidney diseases. 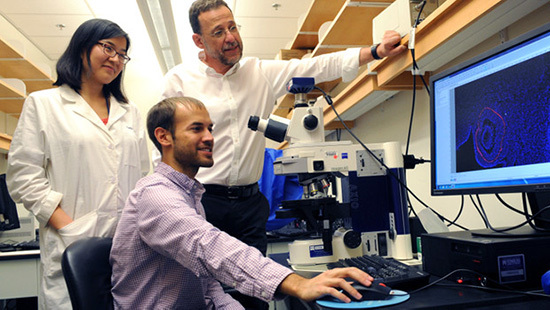 Research Workshops educate and expose researchers to concepts to other disciplines and foster the evolution of cross-cutting research teams with diverse expertise to remove barriers to therapeutic advances. Science Jams are informal meetings attended by trainees and faculty from multiple disciplines to facilitate interdisciplinary interaction, accelerate projects, exchange ideas and build relationships. Kidney Disease Therapeutic Innovation Symposium serves as a forum to share our discoveries with the scientific community on an annual basis and provide a venue for review of ongoing Center activities. The annual one-day Symposium is open to the broader scientific community and it will highlight research from Core investigators and trainees. The Symposium features three keynote speakers from different disciplines whose work is relevant to advancing therapeutic discovery and implementation in kidney diseases. Sci-High program nurtures scientific interest in exceptional students from disadvantaged backgrounds. The Sci-High program will identify talented students from disadvantaged backgrounds who show an aptitude for science and provide them with mentoring and training that will help them to advance toward biomedical careers. In the Chicagoland area, this is of particular relevance due to a high prevalence of kidney disease in disadvantaged populations. The program will also enhance public awareness of the burden of kidney disease and activities of the center, as visits and Sci-High events will be captured on social media. Kidney-Go Cures introduces the lay public to the advances in research and treatment of kidney disease. The Kidney-Go Cures program promotes awareness of the burden of kidney disease while providing lay-friendly updates about groundbreaking research that is taking place in the center and beyond. The goal is to connect with patients, families, target kidney health-risk populations and/or entrepreneurs. In a series of Cafés Scientifiques, center members meet with lay public in a Chicagoland restaurant or bar. Each investigator provides a 7-to-10-minute, lay-friendly description of how they are tackling kidney diseases and what is coming down the pipeline. The audience asks questions of the panel members.